Below is the bracket for the 2018 OGLA Playoffs. Teams will be placed in the bracket by their LaxPower NormPR rankings on May 12th, 2018. 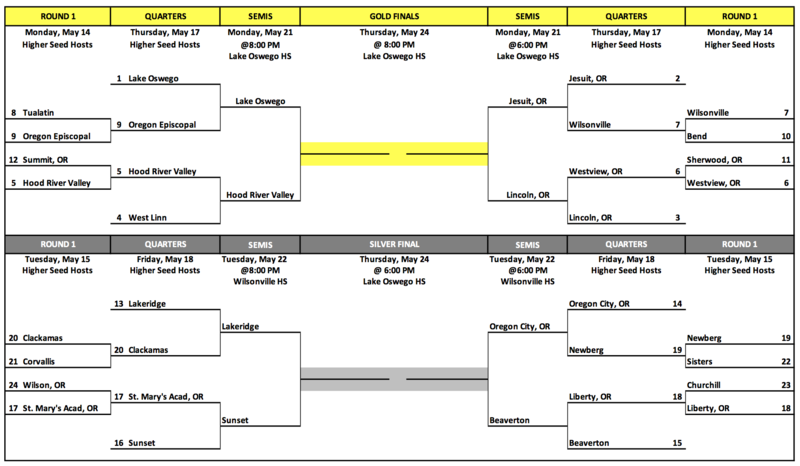 All league champions will play in the GOLD bracket. Any league champion ranked lower than #12 on LaxPower may choose to play in Silver.